Does helping homeowners and renters save money, water, and energy appeal to you? Would you like to set your own hours and work toward sustainability, one house at a time? Then perhaps a green home consulting business is the way to go. This green business idea doesn’t require a huge overhead, and there are no extensive tests or certifications to pass, and there is a huge growth potential. After all, what homeowner or renter doesn’t want to save money on their monthly expenses? One company that’s spearheading the green home consulting business by offering not just a list of recommendations (which oftentimes never get carried out), but actually does the work to make homes “healthier and more efficient from top to bottom”, is Pono Home, currently doing business in Honolulu County, HI. “We show up with the hardware and know-how to make your home greener, and we make it happen, right on the spot. In just a few hours, your home will be cleaner, healthier, and more efficient. In many of our initial house visits, the service has paid for itself by reducing utility bills in anywhere from 2-6 months, with nothing but savings thereafter for you and your family. 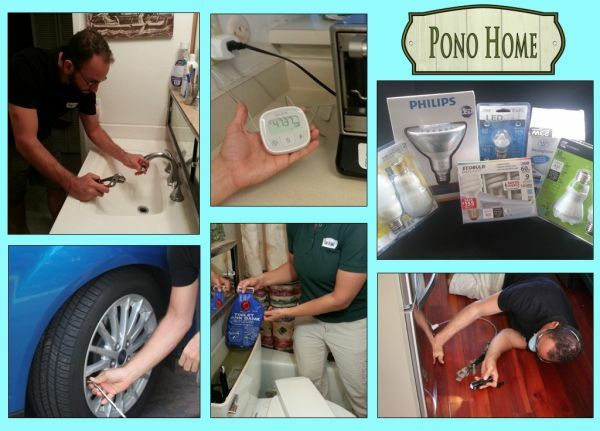 Pono Home is not just doing standard energy efficiency assessments, but instead offer customized whole-house assessments, including teaching people how to reduce gas expenses in vehicles, save money in water and energy expenses, eliminating unhealthy ingredients in cleaners, food, and personal care items, how to read food labels, how to go GMO-free, how to improve indoor air quality, and more. Who supplies my electricity and gas? Looking to Switch Business Energy?